city walls «Suad Bejtovic Photography etc. Suad Bejtovic Photography etc. Madrid architecture reminds visitors at all times that Spain used to be the most powerful country in the world once, and Madrid needed to convey that sense of grandeur and scale. One of the ways this is evident is in the gates, or arches, that dominate certain points of the downtown area. 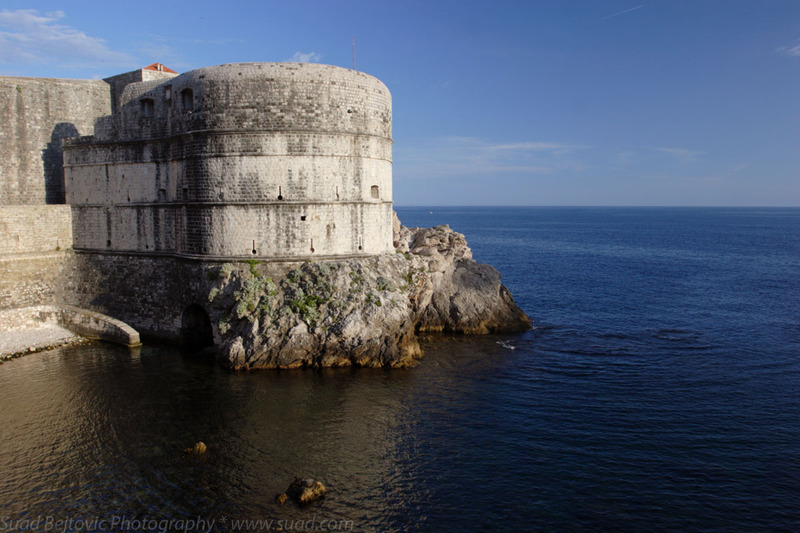 They are remnants of old city walls and were erected to celebrate different events or rulers. Their locations indicate the spots where major roads would leave the city. 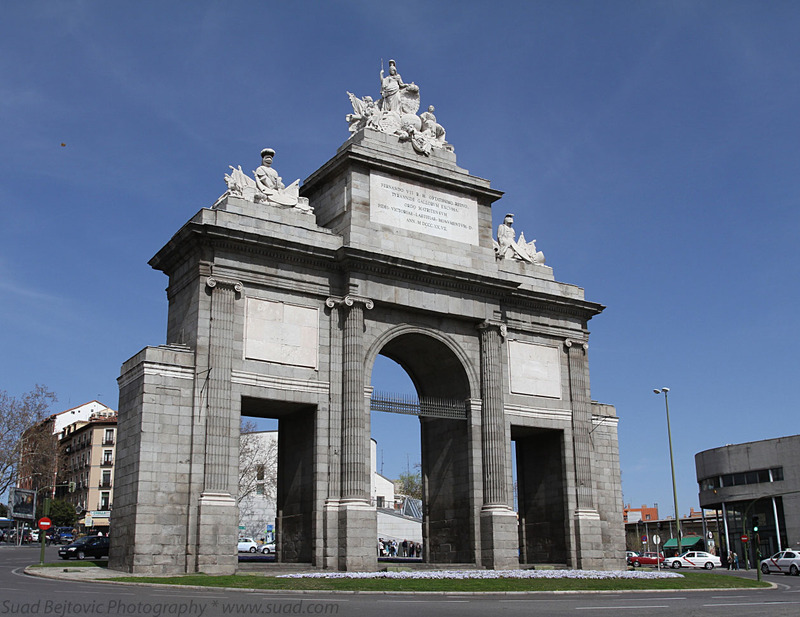 The one on top is Puerta de Toledo, aptly named because it is on the road leading south to Toledo. These days, the easiest way to get to Toledo is by train; we’ll talk about that more in a few days. If you’re in that area, check out the flea market that goes on every Sunday in a neighborhood just a few blocks away. 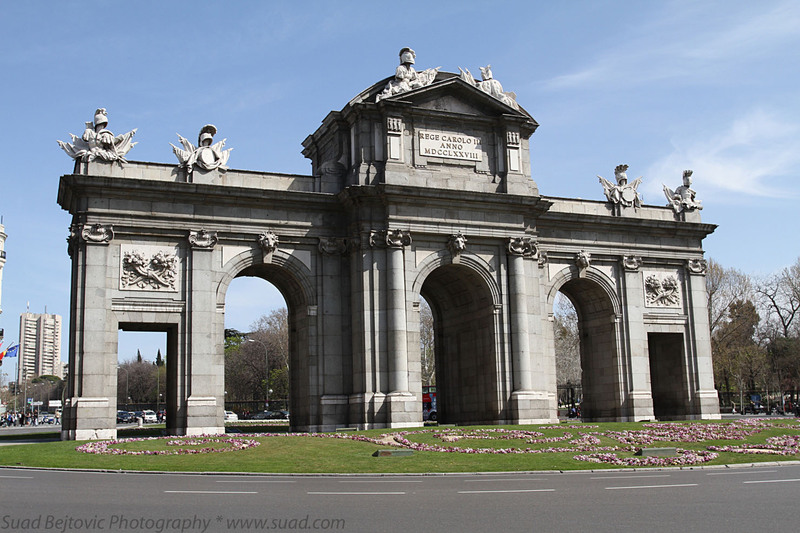 The other photo is of Puerta de Alcala, a gate on the east side of town, at the end of Alcala street. That part of town seems a bit more high-end – Ferrari store is just a few blocks away, for example. One thing these gates have in common is that I had meals in the immediate vicinity, with great views of the gates. As far as experiences go, I highly recommend that.